Unnoticed by the international community (and not announced at prominent places such as pouet.net), the first issues of a new Turkish diskmag have been released. Austrians and Germans have a special relationship with Turkey: Most immigrants originate from the Kemalist republic at the Bosporus, and thus the Turkish culture has strongly influenced everyday life in the Central European countries. Stands selling Döner kebab can be found virtually everywhere, which is the most prominent sign of this cultural influence. There are also special Turkish supermarkets to be seen in many large cities such as my hometown Vienna. Some areas have a very large Turkish population, and Turkish children often pose a considerable minority, if not sometimes even the majority of pupils in class. At some schools, Turkish is for this reason even taught as the first foreign language for German speaking children. Hip hop seems to be especially popular among Turkish youngsters, and they have probably contributed much to bringing the rap culture over to Central Europe. The question is: Has the Turkish culture, in return, been influenced by the Central European one? At least in one area, it has: diskmags. Turkish PC diskmags are not a totally new phenomenon: Already back in August 1999, the first issue of a Turkish diskmag named Yonga was released to the public. Credits: Code - Lord of Analog, Music - Whip of Analog, Graphics - Stranger of Analog, Junkie of Analog, Turbo of Bronx. And we're only talking about PC; on C64, Turkish diskmags have already existed before. The new diskmag I'm going to talk about is called Plazma, and it is released by the group "Resident". The first issue is from January 2006, the second from April 2006. Both of the two issues come along with their own engines, which were coded for Windows platforms. While - according to the credits - the engine of issue 1 was a teamwork of Mad, Anesthetic and Plexi (all members of Resident), the engine of the second issue was the sole work of Decipher (a member of Resident as well). Each issue features about 300 kb of texts (more precisely: issue 1 has about 268 kb and issue 2 about 301 kb). The editor is Spiritus of Resident, aided by Hydrogen of Glance in issue 2. Spiritus also drew the graphics for both issues. 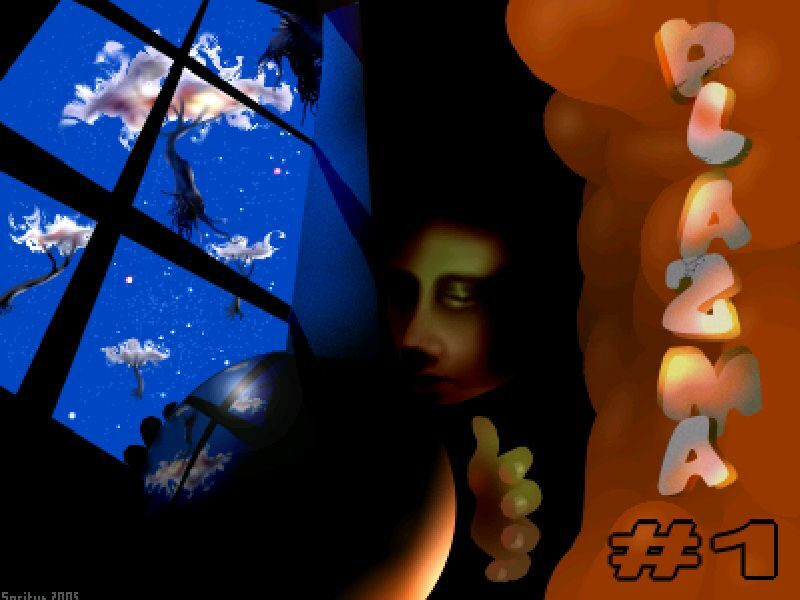 The music of Plazma #1 is the work of Plexi, while for issue 2, Max of Bronx composed it. Issue 2 also includes a nice little bonus soundtrack with the music of the famous old Game Boy classic "Tetris" - it can be accessed by selecting the article "The Story of Mr. Longbox". 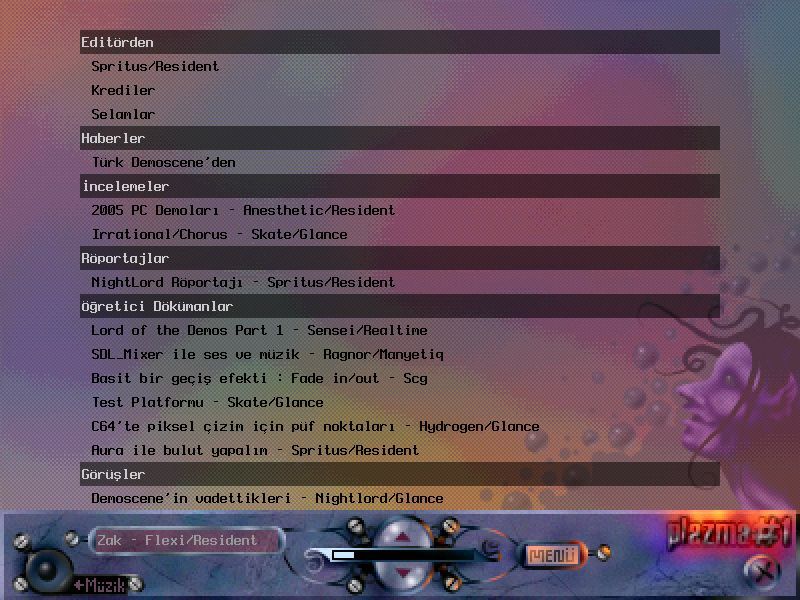 The first issue of Plazma consists of an Editorial section, Turkish Demoscene News, several demo reviews, an interview with a man called Nightlord, four coding and two graphics-related tutorials, two party reports about the same party (7D5, obviously a Turkish event), three adverts and a couple of other scene-related articles. The contents of the second issue are similarly structured. This time the news corner is split to a C64 and a PC part, and it doesn't only deal with the Turkish scene. The party reports focus on Nightshift'06; there are three of them in total. 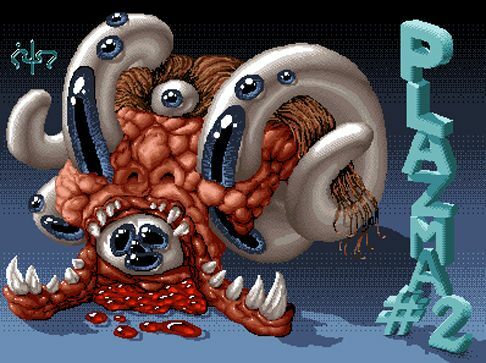 A new section seems to be dealing with scene history; several C64 productions as well as some PC demos from 1998 are reviewed there. The interview of this issue focuses on Poison and Ghostrider. The tutorials are mostly about coding this time, but one of them deals with the GFX2 software. Again, three adverts and a lot of reviews of recently released scene productions are included. Regarding the presentation of the magazine, the first issue is definitely worth seeing: It features a previously unseen transition from the opening picture to the main menu, which looks like turning the page of a book. Excellent! The rest is good or at least average: fixed-width font, inline images, buttons, smooth scrolling,... Each issue features only one tune and one gfx theme set, but that's enough, as the mags aren't that huge content-wise anyway and so you finish reading rather soon (especially if you don't understand Turkish, hehe...). One important thing to mention is that in Plazma #1, the main menu isn't displayed unless you press a key (e.g. cursor down) after the background picture has been loaded. This is a bit weird, but it doesn't appear in #2, so it's unlikely to ever appear in another Plazma issue again. The download is about 4.4 MB or 9.8 MB respectively. This big size is mostly due to the illustrations inside the articles. While #1 uses only BMP files (! ), #2 mostly uses JPG, but some files are still included as BMP, and they occupy much space. E.g. the file data\articles\dergi_foto\capraz_gelistirme.bmp occupies more than 600 kb, and even after packing it with zip, the zip archive is still more than 500 kb. However, after converting the file to JPG with IrfanView, the resulting JPG is only 40 kb. Next time please try to consistently use only JPG - it will save some bandwidth. All in all, it's nice to see a new diskmag!